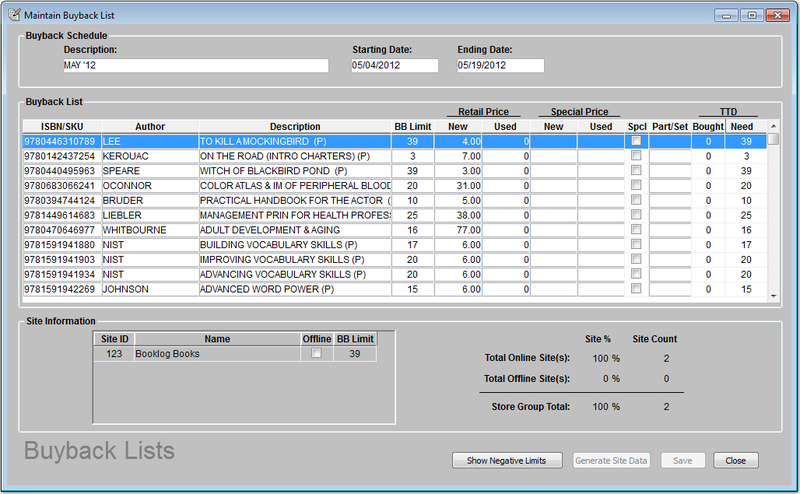 Booklog manages buyback with a dynamic buy list that includes pricing, restrictions and notes to the buyers. 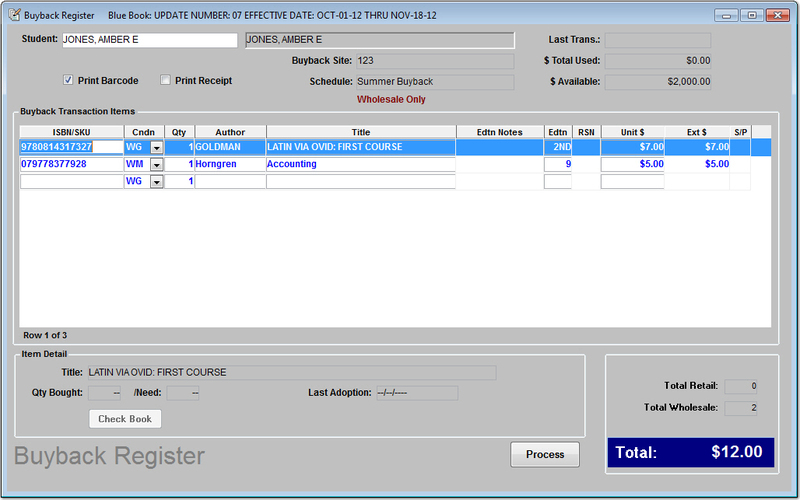 For year-round buyback, any cashier can easily switch from Booklog’s retail module to the buyback window without skipping a beat. The built-in direct email service can be used in conjunction with store sales history. This allows you to search the sales database to see who has purchased a textbook and send a targeted emails to get that customer and their book into your buyback.